One of the many things I need to live, apart from food and shelter, and air… and my vital organs, is a good moisturiser. 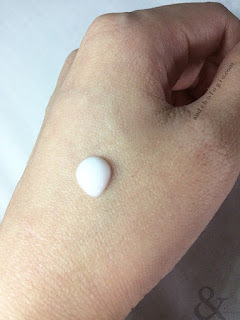 I have written about the many brands of moisturisers I was using before, and from all that, managed to narrow it down to one that I was comfortable with. And it’s gone. The one I’m talking about is the Palmer’s Olive Butter Formula Concentrated Cream with Vitamin E. It seems that they have not taken it off entirely but have repackaged the cream, if not reformulated it altogether. Anyway, before the new formula was made available, it was increasingly difficult to get the one I was using, and I was faced to make a decision because I had run out of moisturiser - remember I absolutely need a moisturiser. 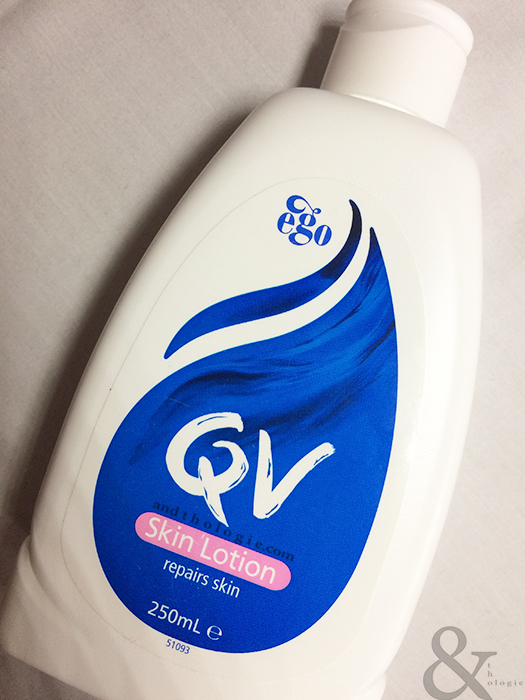 So it was by chance that I picked up the Ego QV Skin Lotion; I was scanning among the available sensitive skincare lines at a store and picked out the most reasonably-priced one - you know how skincare for special needs skin can get quite expensive. The shape of the QV Skin Lotion’s bottle is not common - I always love a unique design - but the overall look is very ‘pharmaceutical’ or ‘medicinal’. There’s an added protective layer at the top - you have to unscrew the top, remove the protective plastic covering and put the cap back on, otherwise you can squeeze the bottle till you’re blue and the lotion won’t come out. The lotion itself is not as thick like the Palmer’s Concentrated Cream, which I think should be obvious enough from the name. It is very light and not greasy. Although it is advisable to use right after shower or after washing your hands when your skin is lightly moist, I find that it is light and moisturising and absorbing enough to use straight from the bottle, even when my skin is rather dry. I always use my moisturiser on both my hands and face, and the QV is comfortable on both and doesn’t act up on the skin on my face. Just a note though, it doesn’t say anywhere that it’s for facial skin, but considering it is a lotion made for sensitive skin I don’t see why it shouldn’t work on my face if it is mild enough - I always do a test with new moisturisers and proceed if there are no negative reactions. One last thing, one bottle [250ml] lasts for almost a year for me even though I use it five to six times a day. A tiny drop goes a long way. I absolutely have to use some form of moisturiser particularly on my hands because the skin has the tendency to become really dry and flaky due to eczema and the corticosteroid ointment I use. It seems I’ll be sticking with this one ego or no ego… I mean, of course Ego because that’s the name of the company that makes them. - I said to myself that I had to look up what QV meant because I thought that was a bit incongruently incongruous, as if it had been put there for no reason at all; as opposed to, for example, “Palmer’s Olive Butter Formula Concentrated Cream with Vitamin E” which is pretty straightforward. It turns out, according to their website, QV is for Queen Victoria [Hospital], at the request of which the QV Bath Oil was developed.